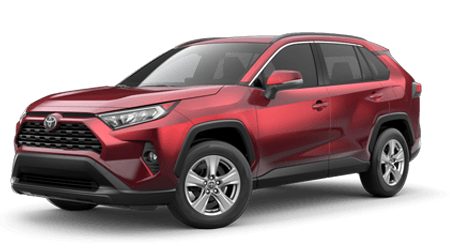 Whether your Toyota RAV4 is in need of tire maintenance or a brand new set, Rodland Toyota in Everett, Washington is here to assist. Our on-site service center can be reached at (425) 595-5509, so give us a call to learn more about our competitive prices, the tire care we offer or to get details for one of the service specials you'd like to put to use! So don't hesitate to get in touch with us today. The tires on your Toyota Camry are your sedan's first and only contact with the road. Ensure you are cruising on wheels that are providing you with a safe level of traction, drop by our service center for maintenance care. If you need new tires, we can help with that too! Here at Rodland Toyota, we stock affordable options from reputable brands. Simply tell us about the trim model you drive and the types of road trips you take. We'll recommend the set that complements your Sienna minivan for your quick trips around town or the options that can stand up to your Tundra's off-roading needs. While we get your new set installed, we invite you to relax in our customer lounge, connect to our complimentary Wi-Fi or grab a coffee from our cafe and espresso bar! Mukilteo, WA drivers can easily book tire maintenance or request an appointment to learn more about our new tires for sale, as we've made an online service scheduling form available right here on our website. Use it to request an appointment here at Rodland Toyota today! We'll be in touch soon to confirm your booking, and we look forward to providing you with the stress-free tire process that you deserve.